The Tampa Bay Buccaneers signed offensive tackle Kevin Pamphile to a four-year deal Monday. 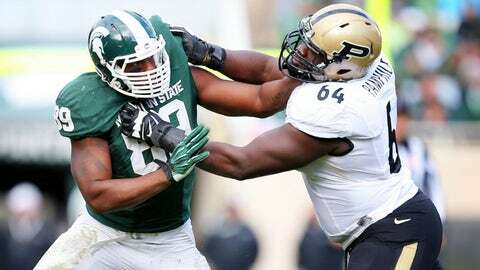 The 6-foot-5, 315-pound Purdue product was taken in the fifth-round, 149th overall, on May 10. He played in 35 career games in college and made 21 starts on the offensive line. Pamphile’s signing means three of the Bucs’ six draft picks have inked four-year deals. They signed guard Kadeem Edwards, a fifth-round pick, and wide receiver Robert Herron, a sixth-round selection, last Friday.